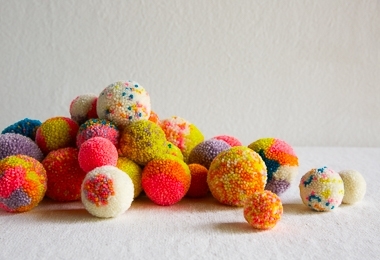 Purl Soho's Pom Pom Maker Set turns out dense, fluffy, and perfectly round pom poms every time! 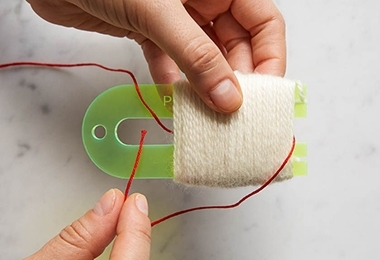 This brightly colored and very sturdy Plexiglass tool set includes two U-shaped makers (1¾ and 2½ inches wide), plus six 1 to 2½-inch trim guides, which help give tidy pom pom haircuts 1-3 inches in diameter. Love the Set but want to take your pom pom making up a notch with fancy patterns and beautiful yarn? Pick up our Pom Pom Kit, which comes with this Set, our Pom Pom Pattern, and six skeins of our Pocket Posy. 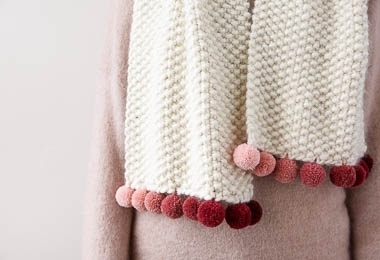 We say, the more pom poms the merrier! PLEASE NOTE: This set does not come with instructions, so if you need them, please check out our free Pom Pom Tutorial to learn the basics, or pick up our Pom Pom Pattern for tips on creating a whole variety of pom poms! Our Pom Pom Pattern includes step-by-step instructions to dispel the mystery of making the perfect pom pom, not just a one-color classic, but special designs, too, like all-over sprinkles, patches of color blocks, and scattered polka dots! Add the Pattern to your order by clicking "Add to Basket" below.